Timothy Snyder: Bio & Choral Music | Santa Barbara Music Publishing, Inc.
Timothy Snyder (b. 1971) is Director of Choral Activities and Assistant Professor of Music at Jacksonville (FL) University where he directs the University Singers, Men's and Women's Choirs, and teaches courses in choral arranging, literature, choral methods and music history. Distinguishing himself as a chorusmaster, he has prepared choirs for the Yale Symphony and Philharmonia, Jacksonville Symphony, Colorado MahlerFest, Colorado Music Festival, and for notable conductors including Marin Alsop, Michael Butterman, Michael Christie, Shinik Hahm, Fabio Mechetti, Steven Reineke, Lawrence Leighton Smith and Robert Olson. Snyder taught high school in Fairfield County, Connecticut, and served on the music faculties of Connecticut College and the Yale School of Music. 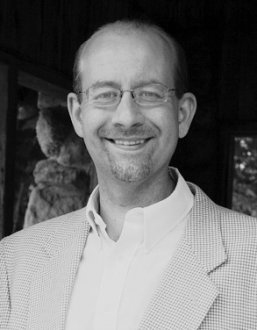 He is active as a guest conductor, clinician and adjudicator of choruses, and has directed church music programs in Connecticut and Colorado. His research on choral literature and performance practice has been presented to national and regional gatherings of the American Choral Directors Association, the Association of Lutheran Church Musicians, Boulder Bach Festival and published in the Choral Journal. He holds degrees in choral literature and performance, conducting and music education from the University of Colorado (D.M.A. ), Yale University School of Music and Institute of Sacred Music (M.M. ), and Colorado State University (M.M. ; B.M.Ed.). Timothy Snyder has 3 titles published with Santa Barbara.